Join us in worship, Sundays at 4pm. Broad Street Ministry is the home of a broad-minded Christian community that practices radical hospitality and works for a more just world through civic engagement. We seek to be dynamic in our expression of worship, embracing those who are on the margins of faith, on the margins of society, and those who have enjoyed the embrace of the church. The Faith Community is characterized by vulnerability and resilience, inclusiveness, emotional transparency, artistic creativity, and hopefulness with deep interests in social engagement, trauma-informed service, advocacy, spiritual growth, risk taking, and instruction in the Reformed Christian tradition. BSM’s Faith Community is guided by members of BSM’s Faith Team, who you can read about on the “Our Team” page and by congregational lay leaders who you can read about here. To learn more about the Faith Community at Broad Street Ministry, please email us! Diversity in our faith community is cultivated, prioritized, and protected. We strive towards diversity not because of contemporary platitudes about “celebrating diversity” but because of deep theological assumptions about the inclusive and universal nature of the Kingdom of God. At BSM, belonging is prior to, and more important than, believing. Embrace is a more powerful witness to the inner-logic of the Gospel than self-protective gestures of exclusion. Protecting oneself from the other, the different, the stranger is to shrink back from the full-force of the Gospel witness. The BSM Faith Community is populated by those who have experienced what it means to be negated by life and by the church, and thus have resolved to bear witness to the “Yes” of God by extending inclusion and hospitality to all. Amidst our vulnerability, our Faith Community is resilient and hopeful. Many BSM congregants have experienced disappointment, injustice, and loss. We view this human vulnerability as a strength, not a weakness, and a reflection of the fact that all human persons are created in the image of a vulnerable God. The affirmation and preservation of vulnerability becomes a critical tool for evaluating the appropriate use of power, both divine and human. We operate in direct experience and full awareness of the brokenness of the world, but also in full confidence that the brokenness of the world is not the destiny of the world. We believe that present action shapes the world in significant ways, but it alone does not determine its future. The BSM congregation seeks to be a faithful community, which is to say that our motivations are deeply rooted in a desire to relate to God through caring for neighbor. We believe our faith is strengthened and renewed by the opportunity to put that faith into action in meaningful ways. Through education, arts, and advocacy events, we commit ourselves to bearing prophetic witness to the injustice and pain of the world around us. Beauty is an important part of the witness and worship of the Faith Community. 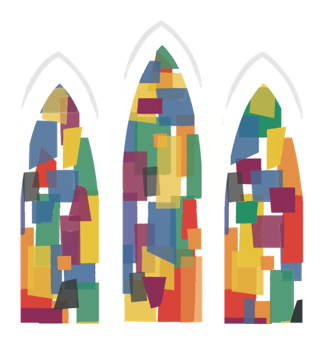 It is a means of connecting with the arts community that surrounds BSM and involving our gifts in our work and worship. It is also a primary medium through which we bear witness to the power of divine grace in a broken and fragmented world. Arts at BSM give voice to that brokenness and provide a means to engage and be healed, and as such it takes on a sacramental role in the Faith Community that is second only to the Lord’s Supper. The music of BSM is particularly important in this respect, as it provides the Faith Community and our guests a palpable experience of human freedom and divine transcendence, by transposing the ‘songs of the street’ into a sacred key by collapsing Western categories of the ‘sacred’ and the ‘secular’ and allowing them to occupy the same space – whether that involves playing ‘secular’ music in the context of a worship service or hosting plays that are deeply critical of the Christian tradition. Though BSM congregants come from over 40 zip codes in the Philadelphia Metro area, we are all deeply committed to the physical location of BSM in Center City Philadelphia, its surrounding neighborhoods, local civic concerns, and the physical space where we meet and live out our identity and mission. Our building in particular serves as an exoskeleton for the community – a physical reflection of the values of the Faith Community. The flaking paint, burned-out lights, spectacular woodwork, stained carpets, art installments, painted chairs, and inverted liturgical space all speak volumes about the identity, mission, and experiences of those who call this space home. These same qualities make the space hospitable to the guests we welcome from outside the Faith Community to the our social services throughout the week. We value theological nuance, courage, and risk, but we do not wear our beliefs on our sleeve or wave them on a flag. There is no doctrinal statement to review or sign, and no intellectual idea has the power to purify or defile. We know that the first are last and the last first. We know that common things are sacred things because bread and grape juice enable us to eat with God; and paper, metal, wood, and paint bear witness to divine presence. We know that the divine gift of freedom is mediated as much through the music of Stevie Wonder or Bob Marley as Charles Wesley. We know that nothing can separate the addicted, deceitful, broken, cynical, faithless, and lonely from the love of God because everyone is invited to the Lord’s Table to take as much bread as they need. We know that the physical, emotional, and spiritual needs of people cannot be isolated from one another because people receive food, clothing, counseling, mail, and community in the sacred spaces of our building.